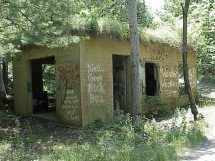 Found scattered through the woods on the hills near the middle of the island and down into the low wetland forests on the seaward side of the island, are numerous ruins of old bunkers and other military sites from the first and second World Wars. 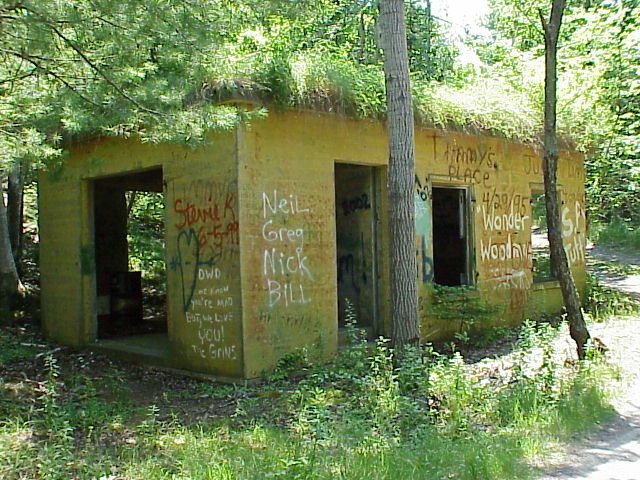 Some of these have fallen into piles of rubble and can be found almost taken back by the forest, while other places have been (or are in the process of being) turned into modern homes. 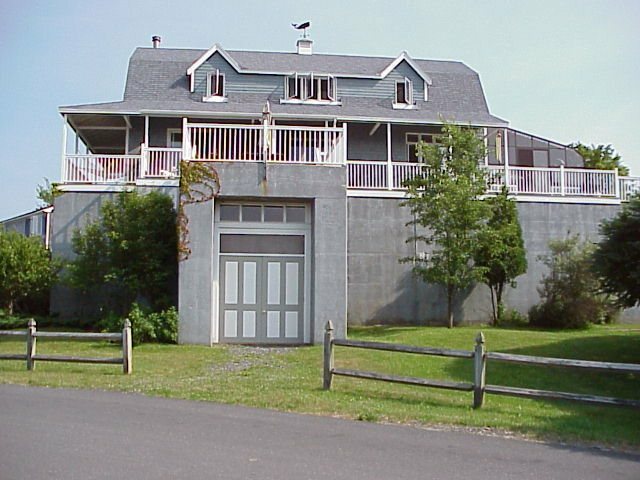 Photo: once a mine casement, the WW2 bunker known as "Big Cat Daddy" has been tunred onto someone's summer home. Photo: The rusted remains of a large WW1 searchlight. Photo: Empty shell of the searchlight's nearby generatot building. 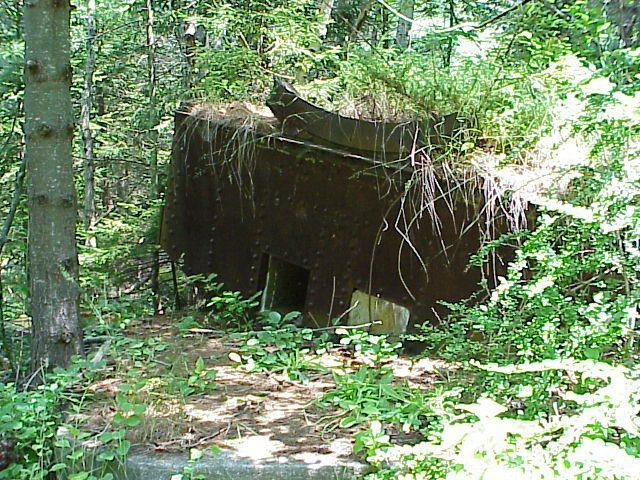 Photo: A WW1 bunker was also on the hill near the searchlight. 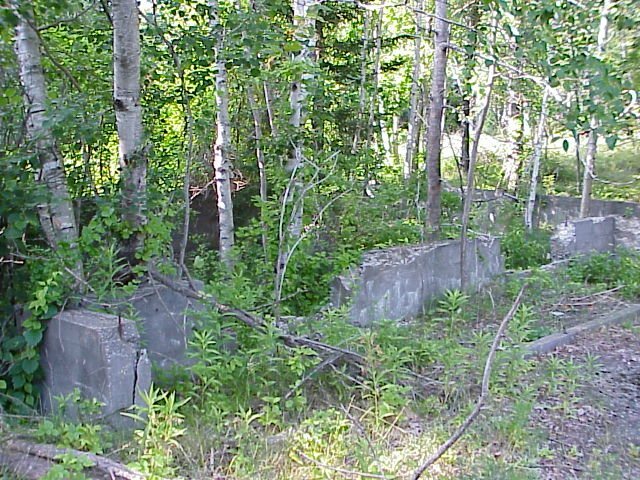 All that remains are some low cement walls and rubble. 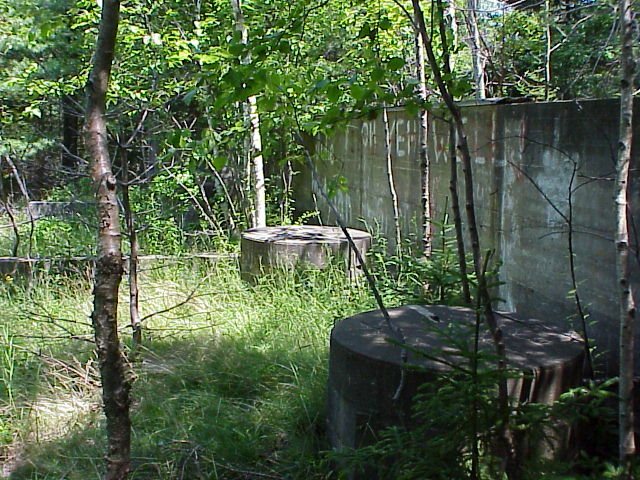 Photo: Deep in an area of low wetlands we found this overgrown square concrete structure, with a shaft leading down. 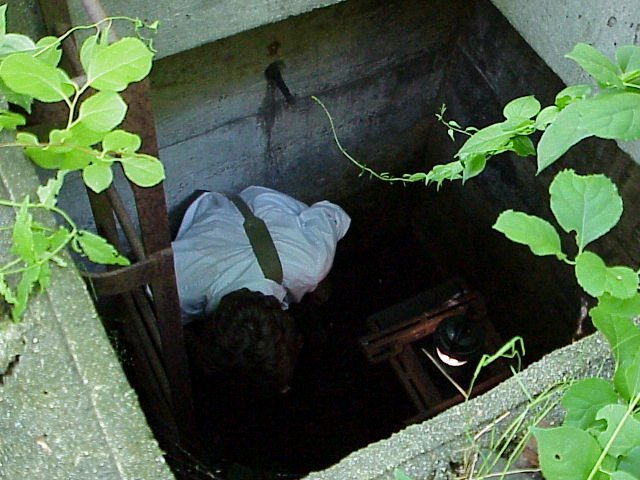 Photo: Wally investigates what appeares to be some type of pump-like machine in the small underground room. 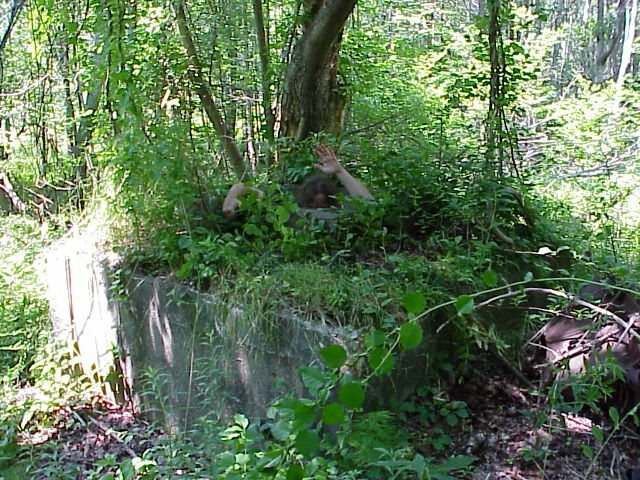 Photo: Our map indicated a WW2 bunker to be near the area where we this ruined building.